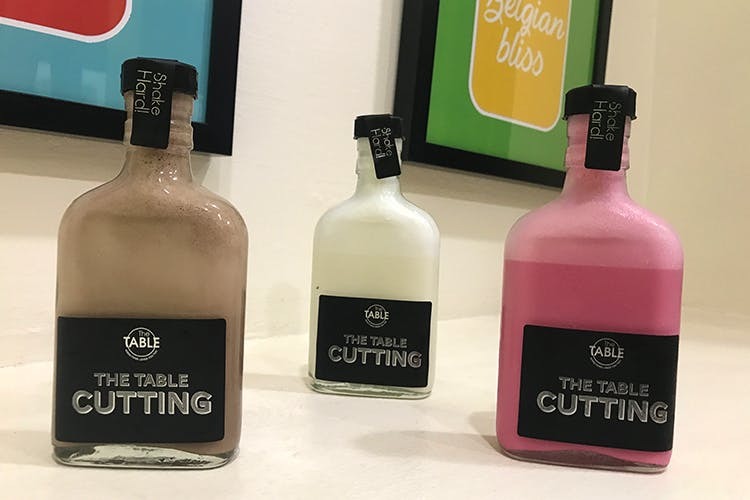 Dessert company, The Table has come out with a line of milkshakes packaged neatly in what is meant to look like a quarter liquor bottle (200ml). Yep, that’s right, teetotaler-friendly quarter cuttings are now available, and are available in a range of sugary flavours like Chocolate Mud and Salted Caramel Brownie. The milkshakes are primarily their jar desserts in milkshake form with two new additions like the Popcorn milkshake and the Apple Pie milkshake! We’ve loved their jar desserts so far and these milkshakes are quite good too (we liked Chocolate Mud the best). The new quarter glass bottles are elegantly simple and the fact that they’re just like quarters of whiskey really seem to have made them popular. Though don’t worry they’re not actually reused liquor bottles, but (differently sized) ones made by The Table for their milkshake line. You can try the new Quarter Cutting Milkshake at their store in Maduravoyal or have it delivered home! Prices start at INR 140.